Vivid Sydney is an annual light festival which transforms iconic Sydney landmarks into illuminated pieces of art for two weeks each year. Think of a trippy architect being let loose in the city with light installations. Sydney Opera House during Vivid Light Festival 2013. Over the last five years the festival has flourished to the point where crowds are so thick, Vivid’s Facebook page issues notices to Fans so they can avoid peak periods. And this is largely due to its use of Social Media. 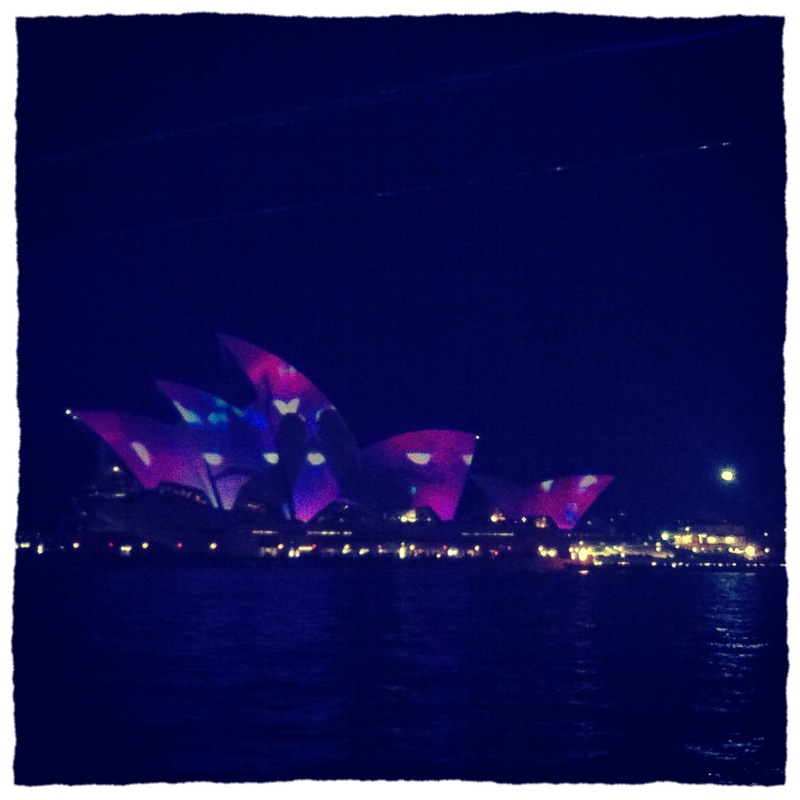 Vivid has done a fabulous job of using social media to showcase the city light show. The public and both amateur and professional photographers are encouraged to post their pictures on Instagram using #vivid and #vividsydney as well as the Vivid’s Facebook page. By encouraging Fans to share pics to the Vivid Facebook page and their own social network, the level of engagement and reach is very high. The Facebook page currently has more than 140,000 Fans and a Klout score of 66. One light projection has a touch screen which allows you to choose your own architectural light design. My attempt below shows how fluro you can get within the 2 min timeframe. 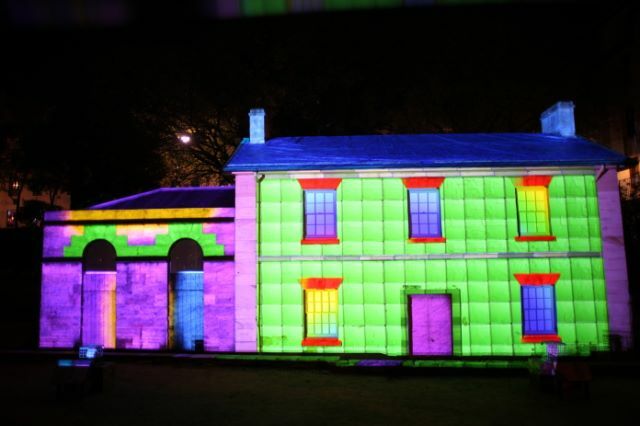 Cadmans Cottage during Vivid Sydney. What do you think of Vivid’s use of Social Media to promote the festival? Does your city have something similar?